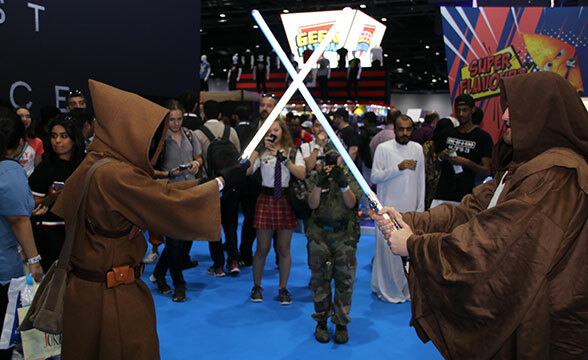 From A-list celebrities to world-renowned artists, the Middle East Film And Comic Con (MEFCC) is back this year at Dubai World Trade Centre from April 11 to 13. The annual celebration of the world of comics, movies, anime, manga and all things pop culture is also, perhaps, the city’s largest fancy dress party. 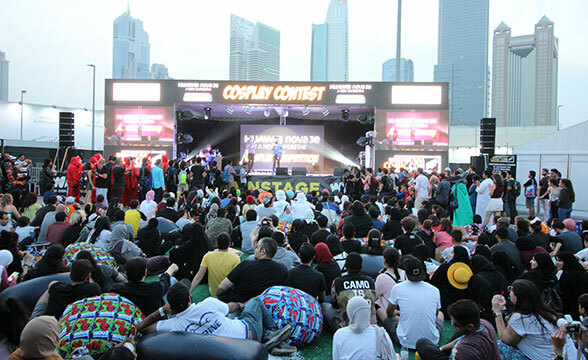 Visitors come dressed as their favourite characters from comic books, video games or film and inside the Middle East Film and Comic Con (MEFCC), it is comic books galore. Here’s everything you need to know about Comic Con 2019. Zachary Levi will be at Comic-Con this year to meet and greet his fans. 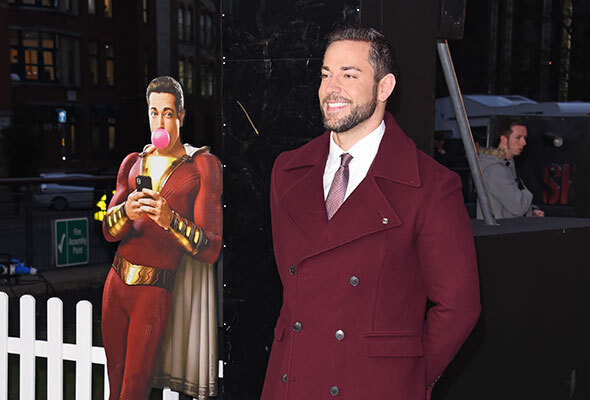 The actor stars in the hit DC film, Shazam which is about a boy called Billy who can transform into an adult superhero (that’s Zachary), who uses his newfound abilities to beat up bullies, stop robberies and even charge mobiles. The actor also famously voiced the character of Flynn in the film Tangled. This one’s for the Game of Thrones fans out there in Dubai. 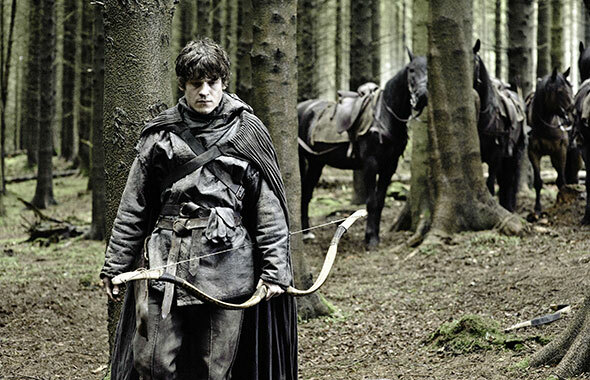 Actor Iwan Rheon who played the super-villain in the hit television series and will be making a guest appearance at this year’s Comic Con. The 33 year old Welsh actor will be joined by storyboard artist and original concept designer, William Simpson in a meet-and-greet with the region’s huge fan base. They will also lead a panel and Q&A session to provide behind-the-scenes insight into the show on April 13. 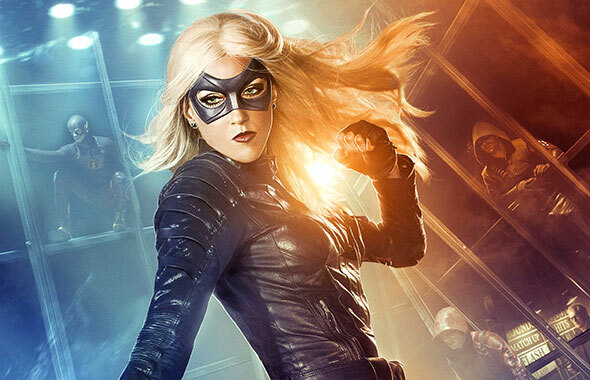 She’s most famously known for playing Laurel Lance ‘Black Canary’, the female lead in the hit DC TV Series Arrow but has also appeared in other popular TV hits as Melrose Place and Gossip Girl. 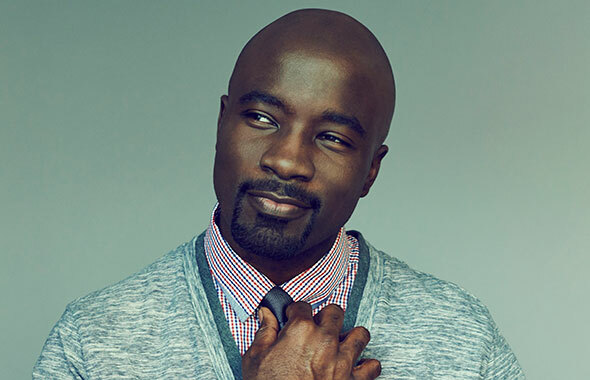 Mike Colter shot to worldwide fame as the star of Marvel’s Netflix series Luke Cage and Jessica Jones and you will be able to meet with Mike across all three days of Comic-Con. You will also be able to get up close and personal with him by watching him live in the MEFCC Theatre, where he’ll be taking part in celebrity panels and Q&As. 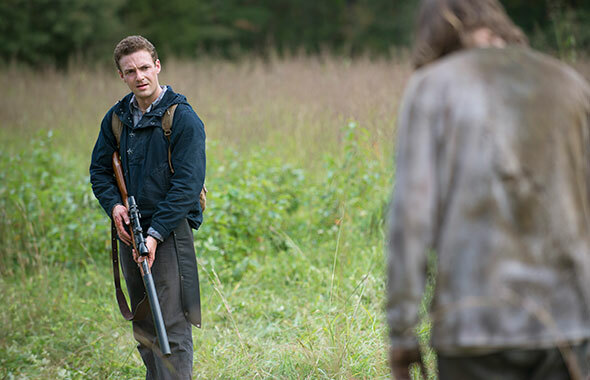 Ross Marquand played the late Paul Newman on Mad Men, before he landed his role as Aaron the hit TV show The Walking Dead where he played Aaron. 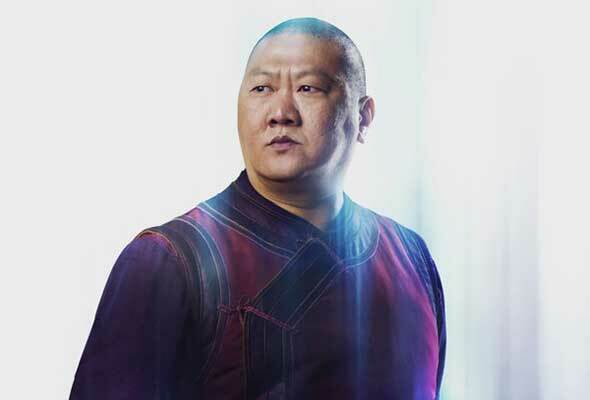 The actor, comedian and celebrity impressionist then landed other notable roles such as Red Skull in Avengers: Infinity War. 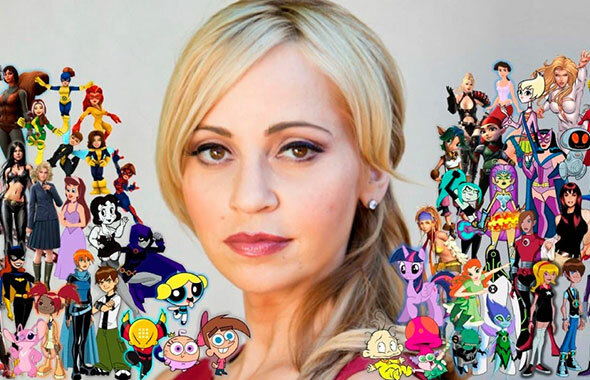 The Canadian-American voice actress is famous for giving voice to characters in animated movies and video games including Timmy on The Fairly OddParents, Dil Pickles on Rugrats and Ben Tennyson on Ben 10. She has also voiced characters in video games such as Harley Quinn in the Batman series. As well as being a globally renowned icon for the cosplay community, Alodia is a model, TV presenter, singer, and actress and was declared by UNO Magazine as one of the Most Influential Women in the Philippines. The 30-year-old has a repertoire of more than 40 characters from a series of anime, movie and video game titles. Catch all of the celebrities in Theatre (Q&A/panel sessions) and in the Meet the Stars area. If you’re a fan of celebrities and want to get up close and personal, the Dhs500 ticket package is the best value. Featuring offers on celebrity photos and autographs, fast track queuing and a separate VIP 21+ Lounge in the Festival Arena, this ticket will have you feeling like a total baller. There’s so much to pack into just three short days, with the MEFCC Theatre hosting exclusive screenings, events on the Mainstage and a loaded schedule of workshops. Whether you want to see the celebrity panels, the incredible cosplay competition, one of the exclusive film releases or simply enjoy the sunset outdoors, you should definitely check the schedules ahead of time to maximise your day! We’re not kidding, this is one exhausting event. Spanning three massive halls and an outdoor festival arena, there’s a lot of fun activations that involve physical activity, from running to climbing, jumping and shooting. To make sure you don’t miss out, opt for sneakers and comfortable clothes (if you’re not cosplaying of course!). The beauty of MEFCC is that there’s something for everyone. And if you’re bringing your little ones along, having some co-parents to share the load will make life far easier and you can enjoy a break with a grape or hops drink at the MEFCC Festival Lounge, while the kids enjoy the entertainment happening on the Mainstage. If you have a keen eye for collectibles or want a commissioned art piece by a globally renowned artist – get to the show early. Seasoned fans will know you need to get in quick to grab those vintage and exclusive pieces. Don’t know how to unleash the villain in your creativity? Look no further, this workshop is designed to get your indie comic book into publicity. Hear the story of the Manga artist and YouTuber Sophie Chan, who made it into the industry without studying art. Her successes and challenges will provide tips and advice for upcoming Manga artists. Game producers Chaosium’s success in games as RuneQuest, Pendragon, and Call of Cthulhu was nearly ruined by two successful Kickstarters in 2012 and 2013. What went wrong? And how did the company bring itself back from the brink of disaster? Find out with Michael O’Brien, vice president of Chaosium Inc.